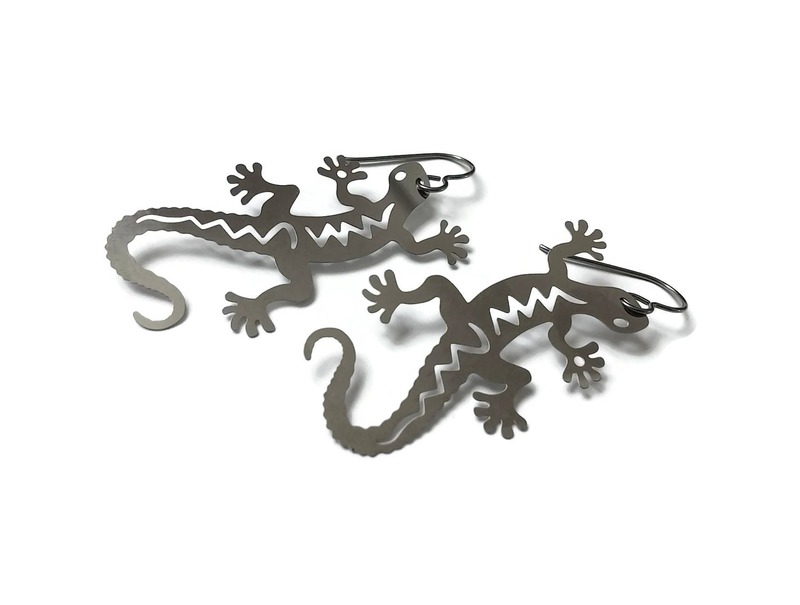 Very fashionable with this gecko pendant. These pendants metal earrings are extremely light easy to wear. I've assembled with pure titanium ear wires. Titanium is 100% hypoallergenic and will not produce skin irritation or discoloration. Stainless steel pendants measuring 50mm x 26mm (2 x 1"). Love supporting Canadian artisans. Such style! What flair! The earrings are shinier than pictured. They look matte in the photo. I'm okay with it though. Fast delivery. Highly recommended! My daughter loved these earrings ! Thank you !! !